The production was given from 2013 to 2017, the usual 5-year run accorded to Bayreuth productions over the past several decades. Next year, there'll be 3 performances of Die Walküre (the weakest link of the production IMHO) in isolation, conducted by Plácido Domingo. I fail to get the point of this break away from festival tradition. I (with my two children) saw this whole Ring live in Bayreuth in 2014--conducted by Kirill Petrenko--, and was bowled over. Yes, it is sometimes chaotic, it is sometimes confusing, but the strength of Frank Castorf's theatrical language and the imposing (and at times intensely beautiful) sets by Aleksandar Denić made for a thrilling experience in the theatre, and shed some wonderful fresh insights on the work. IIRC, Mark Berry (whose "boulezian" blog I follow with interest) was horrified when he first saw the production, and then on the following year it "clicked" for him and he raved about it. I can understand this happening, since the approach is so revolutionary it can shock at first sight. But, it is executed with supreme technical expertise, and many (but certainly not all) of the ideas it develops are most interesting. Unfathomable, really. As you say, it's the weak link (incredibly conventional, after that Rheingold) of the production. And Domingo, the Harvey Weinstein of classical music, is an inept conductor... The very thought of hearing his Walkuere after Petrenko's or even Janowski's... Yikes! "Wagner scholar" is going perhaps a bit far... but he does write a lot about music and he certainly is opinionated. And of course explicitly political in the most predictable of ways, for a modern day classical music writer. Appreciate his writings on music most of the time, but very tedious when he mixes the two. The Sisters -- Katharina esp., since Eva's been booted -- didn't like the Herheim production. 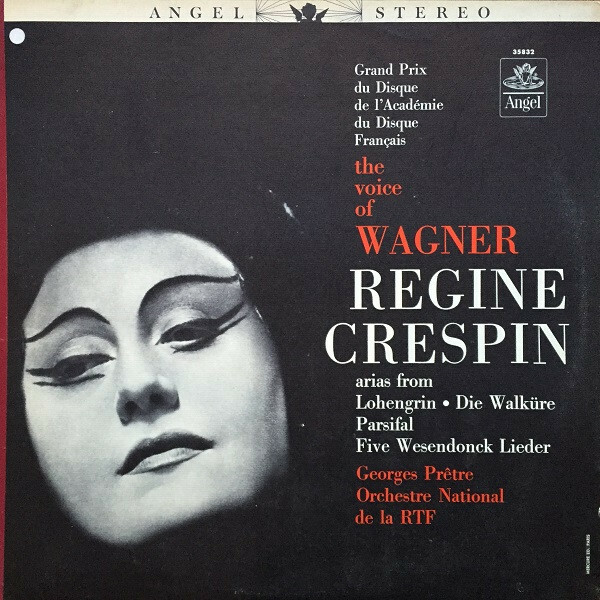 Which is insane, because I think there's across-the-board agreement among opera lovers and Wagnerians in particular, that it is one of the best productions of any opera ever. And by ever, I'm limiting myself to the recorded age, of course. It's simply the best, most intelligent, most elaborate, most moving thing I ever saw and I never expect to see anything better. And I've seen some terrific stuff in my time. He has written a couple of books that look interesting (but are very expensive). But yes, he does ramble about politics sometimes. Still, I share many views and tastes with him (chief among them, of course, our mutual admiration for the work of Pierre Boulez). In any case (just to make sure), my comments were about Castorf's Ring, not Mr. Berry's blog. A big +1 to this (as you and I have discussed in the past). That mirror, oh, that mirror! Yes. Siegfried QUITE uncomfortable with that date; doesn't really know what he's supposed to do. Instead of a romantic highlight, in comes the silly. Quite good - and quite fitting to the music, really. But also he has no knowledge of how to be 'romantic' or what it is to fall in love (mistaking it for fear, which he also does not know)....and his lack of interest in Brünnhilde is pretty much the entire plot of Götterdämmerung, so I guess that makes sense too. I have always wondered how on earth anyone could save the utter nonsense of the ending of Siegfried, so I am ever more curious to see what this production did. I've never heard Domingo as conductor...but it might be interesting to hear Walkure under the baton of someone who has had the experience of singing it. If you have a pretty liberal definition of what "interesting" means, perhaps. Having suffered through a good bit of Domingo-conducting myself, I can safely state that my curiosity has been sated. Used to get into minor trouble in DC with WETA 90.9-listeners when I would recommend opera dates on their blog specifically for when he wasn't conducting. Because people travelled to hear Domingo in any capacity, of course. So quiet here in Valhalla! So is this the main Wagner thread? 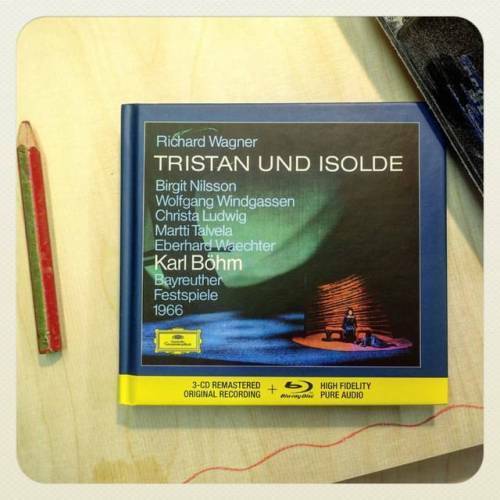 I came across some very fine renditions of Wagner's the Wesendonck Lieder! 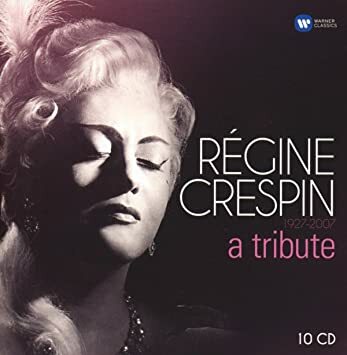 Any recommendations of singers that bring wonder to these pieces beyond Régine Crespin? And I'd second your recommendations, well at least as far as Baker/Boult and Ludwig/Klemperer go. I don't know the Studer/Simopoli version but she is not a singer I generally get on with. Thanks Sarge! 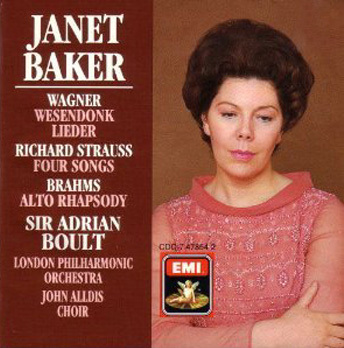 I do like Janet Baker, but haven't heard her singing Wagner at all. She's full of surprises. She even recorded a wonderful Waldtaube in Schoenberg's Gurrelieder. Just wanted to share some impressions of my visit to the Bayreuth Festival this year. This was my fourth visit to the Green Hill, after 1979 (when I was in my mid-teens)—the Boulez/Chéreau Ring, Parsifal, the Dutchman and Lohengrin—, 2012—the Stefan Herheim production of Parsifal—, and 2014—the K. Petrenko/Castorf Ring—. This visit confirmed my view of the Festival: it strives for artistic excellence, and both the chorus (led now by Eberhard Friedrich) and orchestra are of the highest level. Many (usually those who’ve never been to it) criticise (or ridicule) what they perceive is thought of as a “Wagnerian pilgrimage” of sorts, for either “insiders” or (mainly German) members of the jet-set. Not at all: IMHO, what makes Bayreuth so special—apart from the unique features of the Festspielhaus itself and the aforementioned highest artistic standards—is the felicitous conjunction of two concepts: i) the festival as a place dedicated to “the festive performance of the works of Richard Wagner” (as stated in Siegfried Wagner’s testament), and ii) the festival as a workshop or laboratory (“Werkstatt Bayreuth” was Wolfgang and Wieland Wagner’s phrase). It would be too long (and test the reader’s patience) to review all four performances I attended in detail. My two children and I saw Parsifal, Tristan and Meistersinger, and were then joined by my partner for the Dutchman on the last evening. Uwe-Eric Laufenberg’s production of Parsifal works much better seen live than on DVD. It has a strong and well developed Konzept, underpinned at moments by striking images, but also is over-cluttered at times. The Good Friday scene was slightly cliché-ridden, and yet very touching. Semyon Bychkov led quite wonderfully (I had already seen him conduct Parsifal here in Madrid, but this was vastly superior), and the cast was uniformly strong (with Günther Groissböck’s noble Gurnemanz standing out). Tristan was less appealing to me. Katharina Wagner’s production is—as my son pointed out—very faithful to the ideas underlying the work, or rather, it develops some of them to the extreme. Possibly the third act is the most successful. Christian Thielemann, of course, knows the work and the unique acoustics of the venue backwards, and delivers a strong, very strong performance. Yet, I really do not admire his approach: a Luftpause here (that lasts a couple of seconds more than it should), an accelerando or ritardando there, appear to me relatively facile resources that at times distort the music’s form and natural flow. Vocally, things were again strong, even if both leads were a bit unsubtle (particularly Stephen Gould in his—admittedly fiendishly difficult—role). Meistersinger was a performance to savour, and one which i am sure I’ll remember for a long time to come. Barrie Kosky’s production is thought-provoking, beautiful to watch, and great fun. Yes, it requires good previous knowledge of the piece and about Wagner and his entourage, it can be slightly over-the-top at times (Sachs, Walther and David are all Wagner lookalikes—and there’s other extras dressed as Wagner onstage as well), but it tackles quite cleverly and elegantly issues that are worth addressing, and is technically superb. Philippe Jordan did an excellent job, keeping things moving forward with panache at all moments (this longest of operas went by like a breeze) and brought out all the riches of this contrapuntal feast beautifully. Michael Volle’s Sachs and Johannes Martin Kränzle’s Beckmesser are both portrayals for the ages (vocally and scenically), Walther von Stolzing suits Klaus-Florián Vogt’s unique and considerable talent like a glove, and the Pogner, David, Magdalena and the mastersingers were all first-rate. Only Emily Magee’s Eva (she had already sung the role on the Green Hill under Barenboim as far back as 1997) was not quite in the same league. Our final performance was the Dutchman in the Jan-Philipp Gloger production (in its last outing), ably conducted by Axel Kober. Of course, the Dutchman is a bit of a step backwards after the three “big” work’s on the previous evenings, but this was enjoyable as well (but not that memorable). Next year there’s a new Tannhäuser (conducted by Gergiev and staged by Tobias Kratzer). It’ll presumably run for five years. Let see if I apply (and am awarded) tickets sometime and so will have seen all 10 works of the “Bayreuth canon” at the Festspielhaus. Well, even this came out too long . 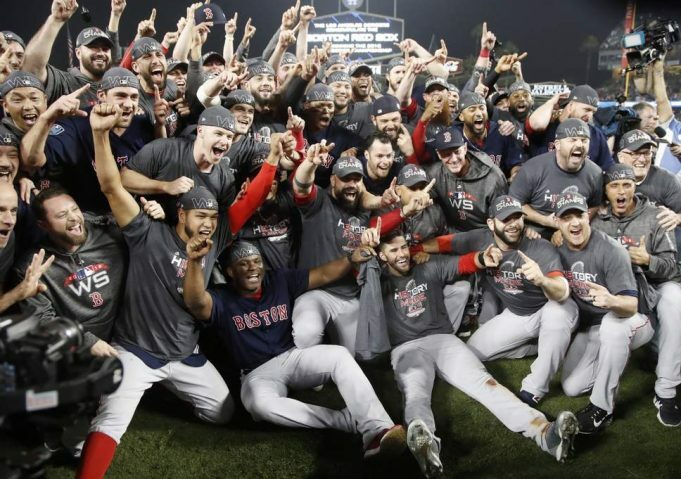 If you’ve made it to here, thanks for reading! I'm not that much of a Wagnerite, but I found that interesting. So thanks for writing. I am a (almost ) perfect Wagnerite, and I greatly enjoyed your report. Thank you, Rafael. My first ever purchase on Amazon was Mahler's Das Lied von der Erde. Amazon immediately suggested I purchase albums by Korn and a death metal band whose name I don't remember and maybe never knew.